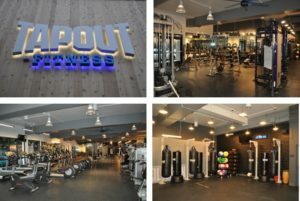 Tapout Fitness Is Martial Arts Infused Fitness For All Ages And Fitness Levels! integrates the mind and body, delivering a transformative fitness experience. We also offer Tapout Martial Arts, our progressive belt – ranking program that is a modern approach to traditional martial arts for kids and adults. Larger studio locations offer a full range of cardio and strength equipment and many are open 24 hours a day, so members will never miss a workout. A dynamic combination for a once in a lifetime opportunity! similar fitness franchises. Total investment, including franchisee fee is can be as low as $150,000. High revenue to overhead ratio – Smaller ‘boutique’ studios typically charge higher membership fees per month. Low overhead – lower equipment costs, no costs of goods, no perishable inventory.